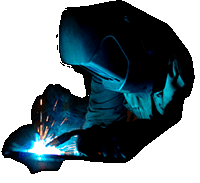 At Infinity we custom build exhaust systems to your specification from only the best T304 stainless steel which we have been doing since 2002. It does not matter if you own a modified, prestige, classic or standard vehicle, we can make an exhaust system for you. Our free flow stainless exhaust systems help improve performance, engine response and fuel efficiency. All our stainless systems come with unrivalled lifetime warranty and excellent aftersales service. Here at Infinity we pride ourselves in producing the best quality custom exhaust systems on the market alongside excellent customer service and unrivalled after-sales. We only use the best quality T304 stainless steel and our free flow custom bespoke silencers are made in house to ensure excellent build quality. All you need to do is a quick google search to see how well recommended our services are by traders, performance tuners and classic car owners. All of our custom made products are backed up with unrivalled aftersales and our industry leading lifetime warranty. At Infinity Exhausts we deal with a lot of trade and clubs. We are highly recommended by the traders that use us, from classic car restorers and local garages to performance tuners and haulage companies. With regular traders we offer great discounts and fast turn around times so that you can keep your customers happy. 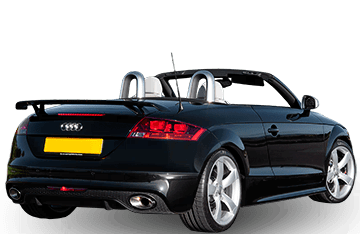 We are linked with many different vehicle owners clubs and offer discounts on full cat back systems to those clubs happy to share our company name across their website or forum. If either of these options are of interest to you please feel free to contact us to discuss your needs, we will be more than happy to help. Here at Infinity Exhausts we now have in stock a wide variety of "Auto Finesse Cleaning Products". They come highly rated and trialled by all of us here at Infinity HQ. A selection of what we now have available; Snow Foam, Contaminant remover, bug&grime remover, wheel cleaner, waxes, clay bar, car shampoo, glass cleaner and much much more including the cloths needed to get that expert finish! Pop in and check out the stock today!! Another year another awesom day hosting "Spring Action Day" alongside MCR specialist cars! Make sure you put Saturday 7th April in your calendar to ensure you dont miss out! If you have an infinity system and fancy your chance at being on stand... pop us an email with a picture and we will see what we can do! Auto Finesse detailing products now in! We are very excited to be a stockist of Auto Finesse detailing products! Always keen to work with companies offering excellent products so there was only one choice! Castle Combe Spring Action Day 2017! Make Sure you put Saturday 8th April on the calender! Lets kick of the show season in style! You can now purchase Infinity-Exhausts Hoods and T-shirts as well as vouchers straight from the new website merchandise page. Very simple to order and you pay via Paypal.